Showing 1 - 15 of 15 articles tagged "Documentary Now!" “There’s money in hyper-specific fake documentaries which is why we keep making them,” co-creator Seth Meyers said of the renewal. “We wanted to do a documentary about the fake moon landing, but we couldn’t crack it. Documentary Now! 's "Original Cast Album: Co-op" is "Mulaney to the max"
John Mulaney's Documentary Now! episode based on D.
Owen Wilson on playing a Wild Wild Country-inspired Documentary Now! cult leader: "I didn’t have to dig that deep!" 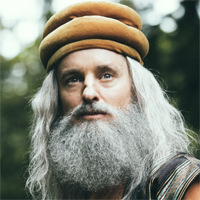 The IFC mockumentary's "B*tshit Valley" will feature Wilson as self-proclaimed spiritual leader Father Ra-Shawbard, leader of the Shawbardite commune. The IFC mockumentary series will return with Original Cast Album: Co-Op, a parody of D.
Cate Blanchett is coming to Documentary Now! Hank Azaria's baseball announcer comedy has been picked up for a third and fourth season. Hank Azaria’s Brockmire will be back for Season 2 on April 25, while Stan Against Evil should return this fall.